NEW YEAR, NEW BOOZE N SUCH! No recipes this time, but I wanted to get everyone excited about all the things I’ll be posting on during Winter 2015! Cheers to you all! The lovely people of 18.21 Bitters sent me a whole bunch of stuff! Aren’t they kind? LIKE LEGITIMATELY KIND! AND SUCH TASTINESS!! 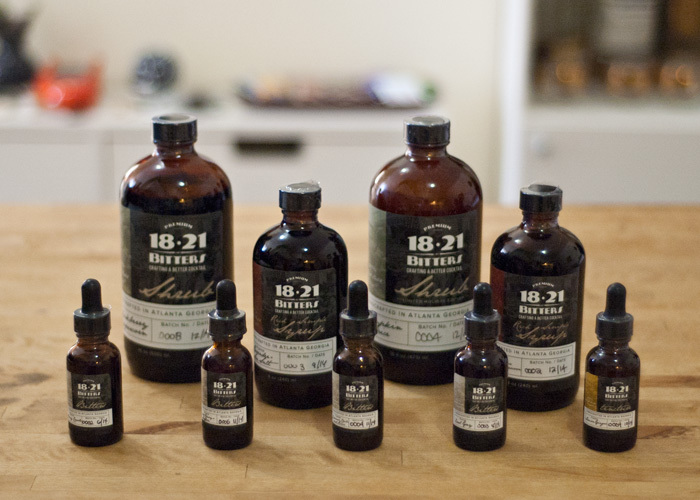 18.21 Bitters make not only excellent bitters but also Tinctures, Syrups and Shrubs: Blackberry Peppercorn Shrub, Charred Lime + Jalapeño + Peppercorn Syrup, Earl Grey Bitters, Lemon Ginger Tincture just to name a few! I’ve been working on a bunch of recipes and will be posting them soon! INOCENTE FINO SHERRY – YEAH, I DID IT, HERE WE GO! 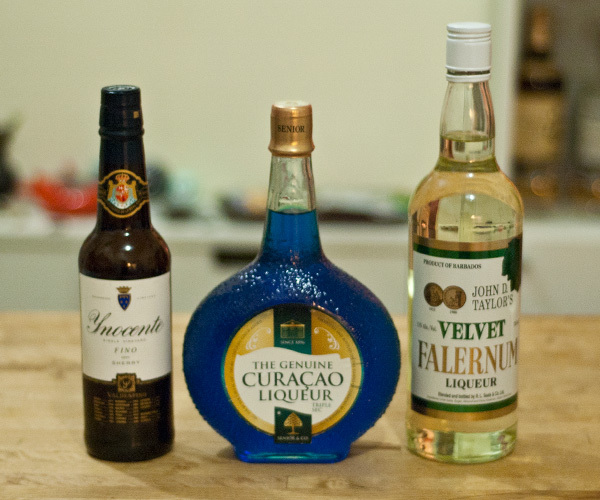 The complexity and depth of sherry is something I am really into experimenting with. SENIOR BLUE CURAÇAO – YEAH, BLUE CURAÇAO IS BACK, GET INTO THE SWEET BLUENESS! TROPICAL BREEZES. VELVET FALERNUM – EVEN MORE TROPICAL. Why it took me this long to get this lime/vanilla/spiced deliciousness is beyond me. 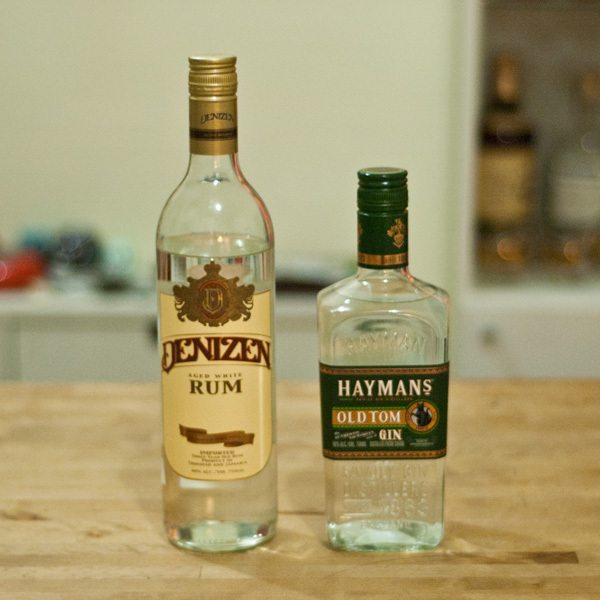 Denizen Aged White Rum – from the Angostura distillery, this is a blended white Rum and more complex than many other white rums and an awesome banana, coconut, mango and pineapple flavors come through immediately. Hayman’s Old Tom Gin – 19th Century Gin which is a bit sweeter and more botanical than many modern gins. MARTINEZ, here we come. I love this Gin, it’s totally awesome! Will be posting recipes soooooon!